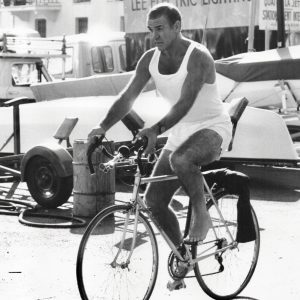 Sean Connery rides a bike. 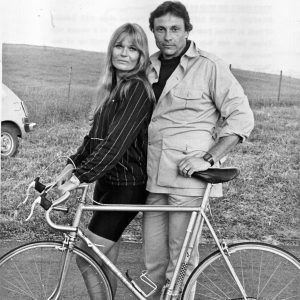 Valerie Perrine and David Ackroyd hold a bike. Claudia Cron rides a bike, Robby Benson runs.